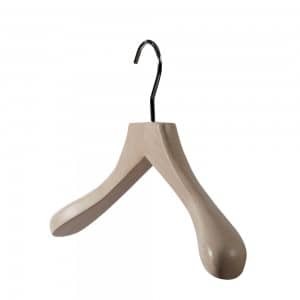 If you are looking for printed hangers for company branding look no further. We at Valentino’s Displays can print either a company logo, text or both onto hangers. All we require is some form of a digital logo or artwork file and we will organise the whole process. 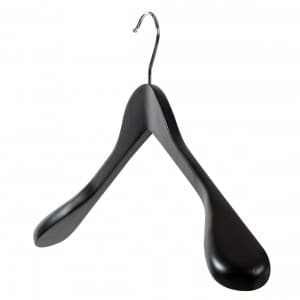 Imagine your logo on hangers in your store, this is going to add a quality that other cheaper stores do not have. 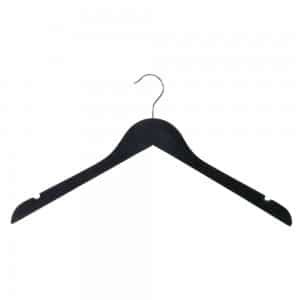 You have marketing on the hanger should you sell them or give them away with the clothing you sell. Some companies will say either 500 or 1000 pieces as a minimum order, However at Valentino’s Displays we have NO MINIMUM order quantity. Cost of this is usually around £65-75 for plate, setup and film charge (one off fee) and then depending on the artwork itself between 0.20-0.25p per hanger! The prices per hanger will be dependant on design of artwork, so although there is no minimum order, the more you order, the cheaper the price will be per hanger. We are currently in the process of producing these for a customer of which images will be added to our case studies page shortly to show you the quality of our work.